The solar and alternative energy industries continue to flourish. At the end of January, the Army kicked off its largest renewable energy project to date, investing in an on-post solar farm and an off-site wind turbine farm. Over the course of the contract, the Army will save about $168 million. In addition to the government, the adoption of solar energy extends to consumers and organizations both large and small. According to a recently released report by Custom Market Insights, the solar panels market is expected to reach $180.7 billion by 2021. 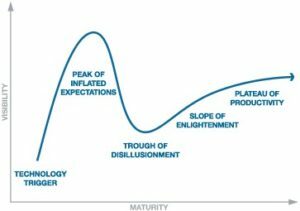 When compared to the Gartner Hype Cycle, Persinos argues that solar has already passed through its hyper period and is now approaching a plateau of productivity for long-term growth. What is Driving the Success of Solar? As Persinos points out, the price of oil is plunging, yet solar is thriving. Not really your textbook scenario. While the environmental impact of solar is a compelling reason to invest in the technology, the trend has been accelerated because solar is both cheaper to produce than in years past and companies within the industry are providing buyers with easier ways to secure financing. Historically, borrowers within the solar industry have been plagued with high transaction costs and fees that traditional financial institutions and banks generally impose (GreenBiz). Some solar installation projects, particularly for mid-sized commercial projects, have experienced bumps in the road, noting difficulties securing solar leases or loans mainly because traditional financial institutions required a considerable amount of equity; something that many organizations lack. To overstep these limitations, financial technology and alternative lending practices are becoming a new norm for businesses and consumers to finance solar opportunities. As a result, the industry can bypass fees derived from regulation imposed on traditional financial institutions. Overall, the mainstream energy sector is embracing this new, alternative style of financing. Alternative funding within the solar industry is part of a bigger direct-to-consumer movement that has emerged within marketplace lending, student and consumer loan refinance and mortgage. This direct-to-consumer model is notable among companies such as Open Energy and Solar Mosaic. 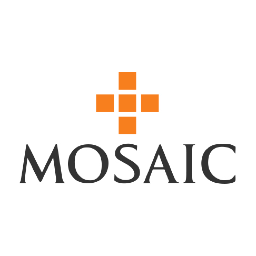 Similar to a Kickstarter with crowdfunding, pioneering start-ups like Solar Mosaic connect investors directly to borrowers. Instead of jumping through the hoops necessary for securing funding with a traditional institution, Solar Mosaic believes that anyone should be able to secure a loan for a solar project – pooling a group of investors together to provide a loan for the project. This style of lending provides investors with different, alternative ways to invest, which has become increasingly popular with several years of unfavorable economic conditions and ambiguous stock market projections. “It’s definitely taking off,” said Mary Rottman, president of the Solar Energy Finance Association. “It’s sort of a shadow banking industry, and like a lot of the disruptive industries it’s taking out a lot of the costs” (Green Biz). This entry was posted in Solar and tagged alternative finance, financial technology, fintech, marketplace lending, peer to peer lending, solar lease, solar lending, solar loan, solar mosaic.